Diwali is a festival of lights and one of the most celebrated festival in India. It is a festival about victory of Lord Ram over Ravana. Ram defeat the Ravana and returns home with Sita so people celebrate their victory and decorates Ayodhya with clay lamps and candles. Diwali is a five day long festival with different worships and celebrations. You can see decorated houses with candles and lights and so many fire work which makes it very bright and cracking festival. Diwali celebration takes place in entire India but some places makes it more special and different. So here are check out some Best Places To Celebrate Diwali in India. Most amazing Indian Festivals. Delhi : Delhi celebrates every festival with full of heart and energy. Diwali is also being celebrated in Delhi with lots of joy and fun. Being a capital of India Delhi always offer you everything on a mass level. People from all over the India comes to Delhi for their butter and bread and settle down in Delhi. These migrated people mix their local traditions with Diwali and makes it special. So in Delhi you can experience so many style of celebrating Diwali at same time. Delhi also offers so many opportunities for shopping at the time of Diwali. Shopping Malls and brands give discount and offer on products. You will also find some Diwali Mela organised by Local people do not forget to visit on of them. Check Best Shopping Markets in Delhi. Around every street corner you will find some stages to perform Ramleela. Markets full of lights and sweets. Local organised Fair are also must visit for Diwali special products. In the evening ready to watch some amazing fireworks in Delhi. Delhi is one of the most popular among Best Places To Celebrate Diwali in India. Varanasi : Varanasi is one of the best place to celebrate Diwali in a spiritual way in India. Start your day with a bath in Ganga and spend your day with exploring the city with full of decorated for Diwali. In the evening visit Ghat (Bank River of Ganga) for Aarti and have a mesmerizing beauty of bank of Ganga River decorated with clay lams and candles. 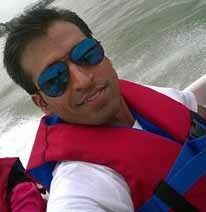 Have a Boat ride in Ganga will make it more memorable. You will also enjoy a sunset in the evening. Try to stay near the Ganga so that in night you can experience amazing fireworks. if you want to see a Diwali in deep traditional style than Varanasi should be your choice among Best Places To Celebrate Diwali in India. Jaipur : Celebration of Diwali starts here before few days of Diwali. Markets decorates with so many lights and colorful products. People not only decorates their homes even whole markets are decorated. There is a competition for best decorated market so people decorate their shops as much as possible to win the competition. Rajasthani women makes some special sweets like Mawa Kachori, Gond ke Laddu, Sohan Papri and Besan Laddu. Kolkata : Kolkata is always being a city of joy. People celebrates all the festivals here on a grand level. before Diwali Kolkata starts celebration for Durga Puja which a one of the biggest festival of Bengal. Durga puja celebration ends with Diwali. Diwali is about pious rituals and boisterous streets in Kolkata. Goddess Kali is worshiped here on Diwali. City is decorated with lights and candles. Goa : Diwali Celebration in Goa is based on destruction of demon Narakasura by Lord Krishna. competitions are held in cities and villages for making of biggest and scariest statues of demon. Goa is also popular for gambling and Diwali makes is bigger. You can try your luck in casinos of Goa. come to India and enjoy the festival. We wish you a happy Diwali in advance.